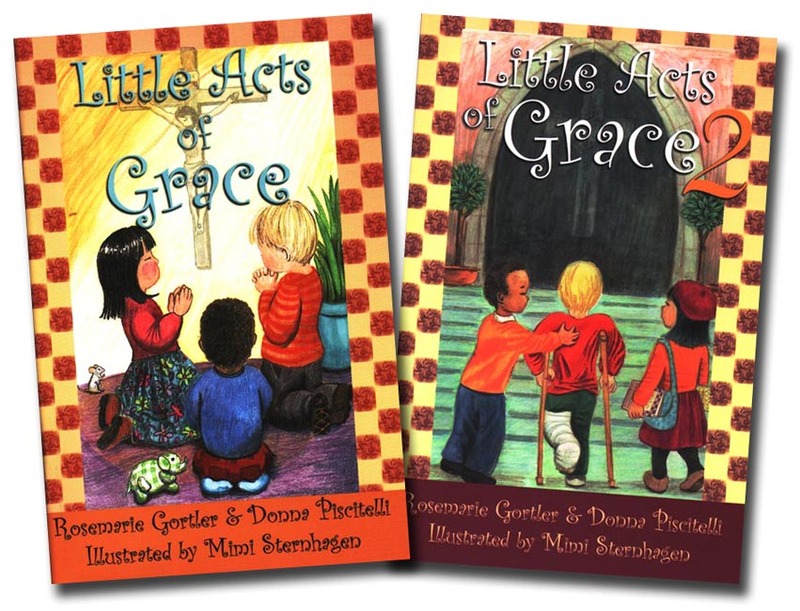 This set includes the following: Little Acts of Grace. These little customs will comfort your children for the rest of their lives. Why do some people kneel on one knee before they sit down in Church? Or bow their heads when they hear a siren? This book is a great way to introduce children to Catholic customs. It's written in a bright, cheerful style that children will love. And it doesn't just explain these little devotional customs - it makes the children want to do them. Topics include: Bowing your head at the name of Jesus, what to do when passing a Catholic Church, how to behave during Mass as well as at the Consecration, praying to Mary and the saints, saying prayers before meals, as well as before bedtime. Recommended for children preschool to Grade 4. Soft cover. 48 pp. Little Acts of Grace 2 Knowing God comes from having a relationship with God. Guide your young children to grow in their relationship with Jesus by understanding that He is their Best Friend. There's no end to the love that Jesus has for them. And all He wants is for them to love Him back, and to love their family, friends, and neighbors. Every little act of goodness and grace helps us grow to be a better person and a better friend. But most of all, they let Jesus know just how much we love Him. Recommended for preschool to Grade 4. Soft cover. 48 pp.